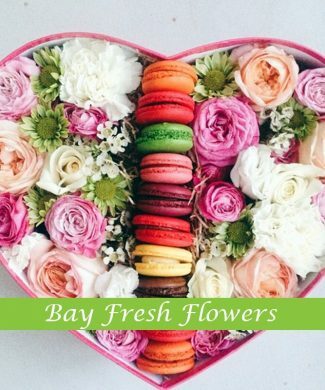 Ordering macarons with flowers is probably one of the best ways to show love and affection. 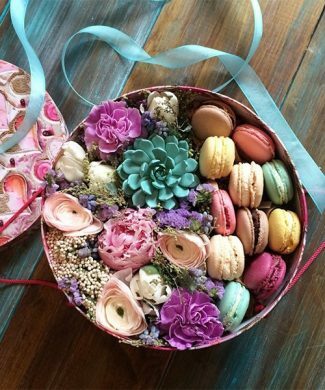 Flowers and macaroons together make a wonderful pairing that will make anyone happy. 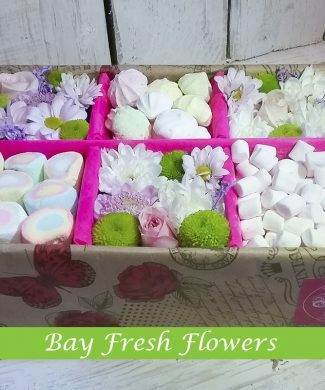 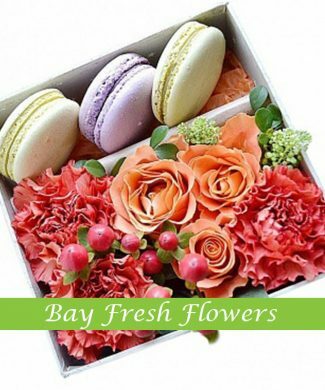 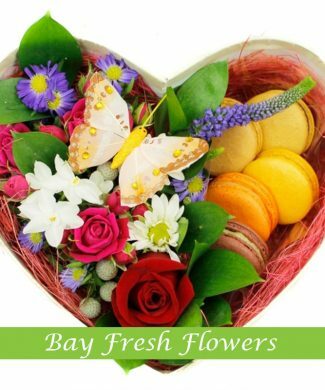 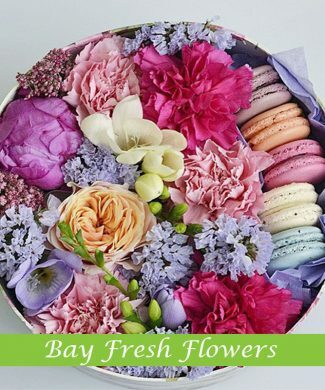 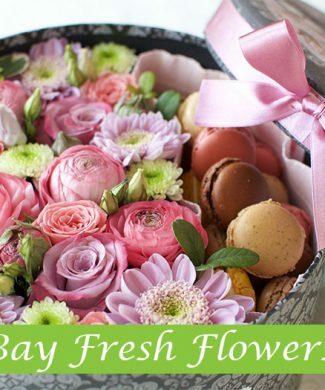 You can easily order a hatbox of flowers with macaroons in Vancouver at Bay Fresh Flowers. 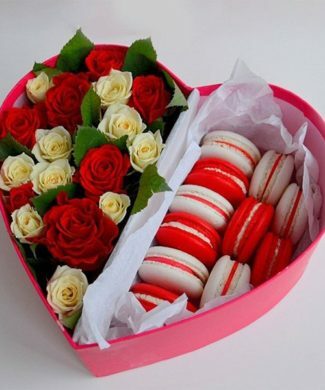 Macaroon is a French dessert cookie that is low on calories, light, but especially tasty. 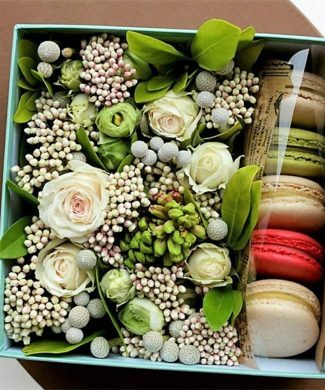 There is no such person who will not be happy to receive a set of macarons with flowers in a box. 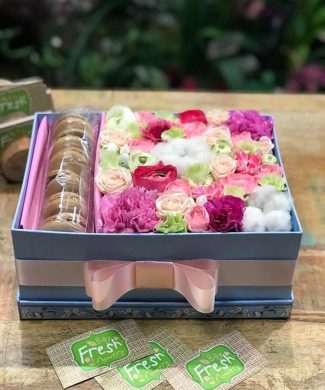 Fresh flowers and cookies in a box are the winners of a woman’s heart. 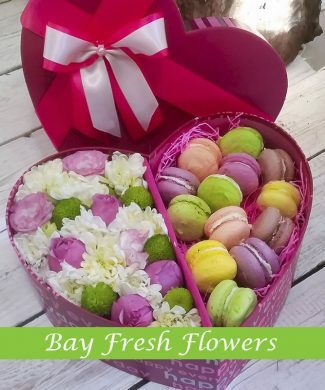 While other men are going with the usual bouquet and candies, you can be original and surprise your wife, girlfriend, mother, sister, friend or a colleague with a unique arrangement of flowers and macarons. 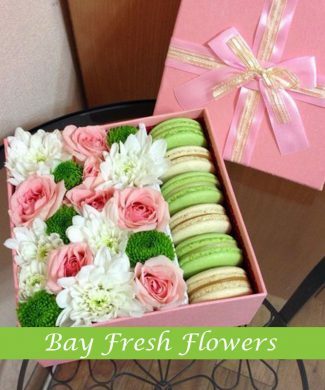 On our website you can find a wide range of flowers with macaroons in a box that are ready for delivery in Vancouver. 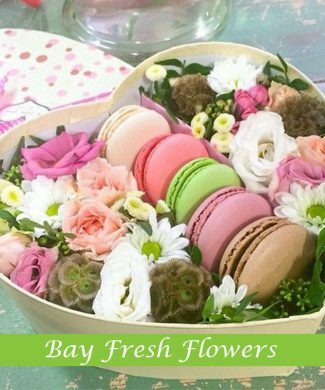 Flower gift box with macaroons can be rectangular or round for different occasions and can also be a heart if you want to give it to someone extra special. 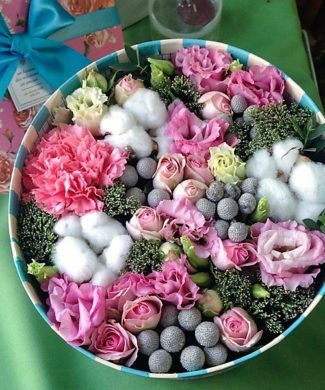 The inside can be decorated colorfully or in pastel colors. 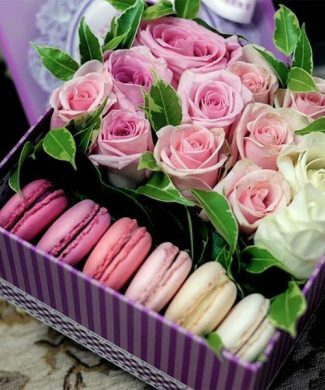 When buying macarons in a box with flowers, apart from a delicious dessert you are gifting someone with a beautiful combination of flowers like roses or peonies. 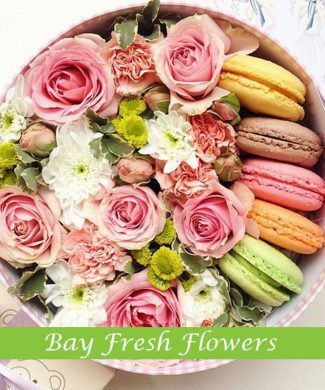 In Bay Fresh Flowers you can order the best macaroons with flowers in Vancouver, Canada. 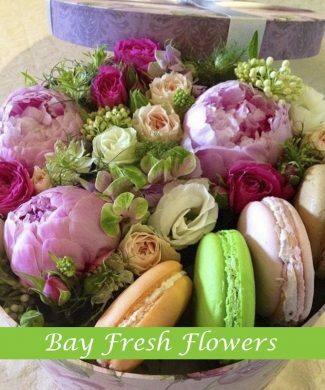 We deliver macarons and flowers throughout Great Vancouver area. 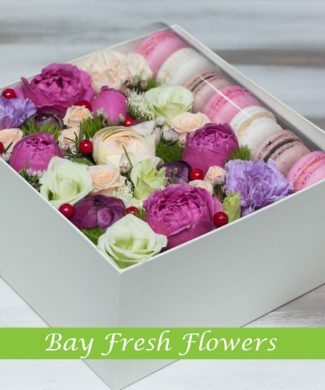 In our online store the price of flowers and macaroons in a box is one of the lowest. 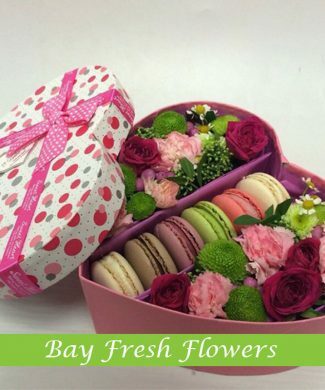 We also provide same day delivery. 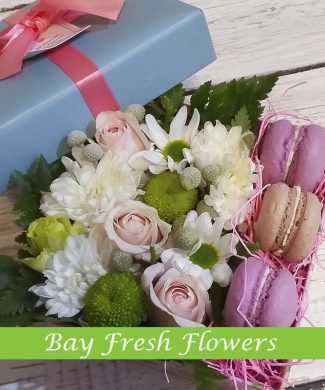 Make your loved ones happy with a tasty dessert and wonderful flowers! 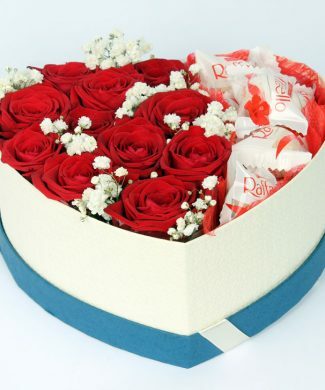 We also deliver by surprise! 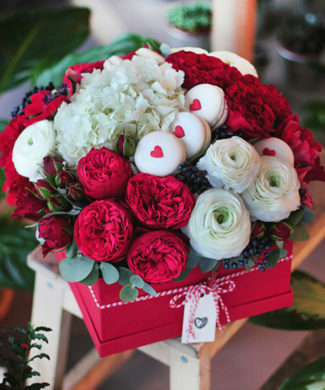 If you are away and cannot be there for a special day we will help you. 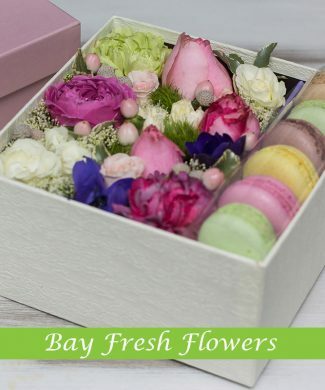 You can order a hatbox of flowers with macaroons or with a box of chocolates of your choice. 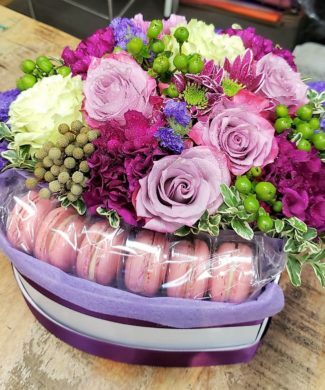 Our deliveries are always on time, whichever time you choose.